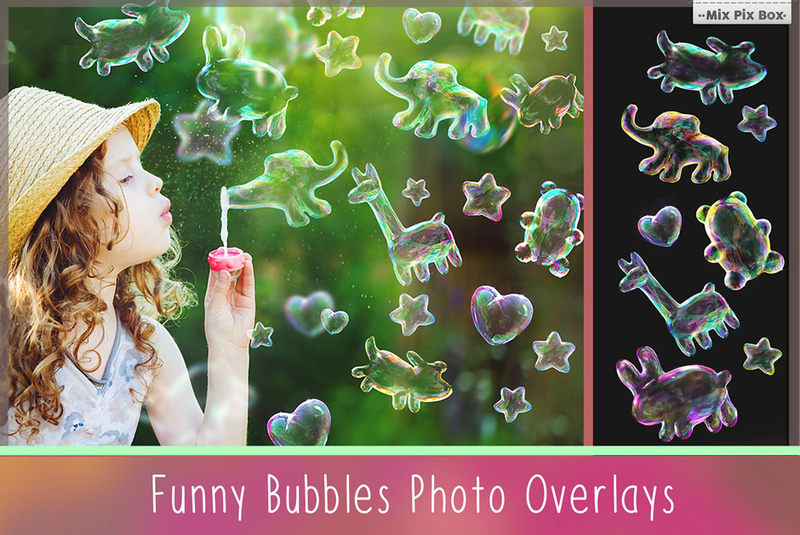 This set of animal soap bubble overlays includes 20 items in .JPG format (black background) and 20 items in .PNG format (transparent background). Please read my instructions how to use .JPG files. Also bubble overlays are available as 18 Photoshop brushes. • 20 high resolution (2700x2800px – 300ppi – .JPG) Compatible with any software that allows you to work with layers (Photoshop, Photoshop Elements, Paint Shop Pro, etc.) Please read instructions. File size is approx 305.3MB (352.4MB unzipped), offered as a single download.